Hi everyone and happy Wednesday! 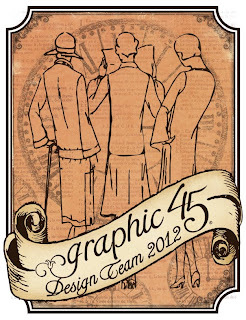 I have a fun project to share with you today and it comes with contribution to a GREAT cause! 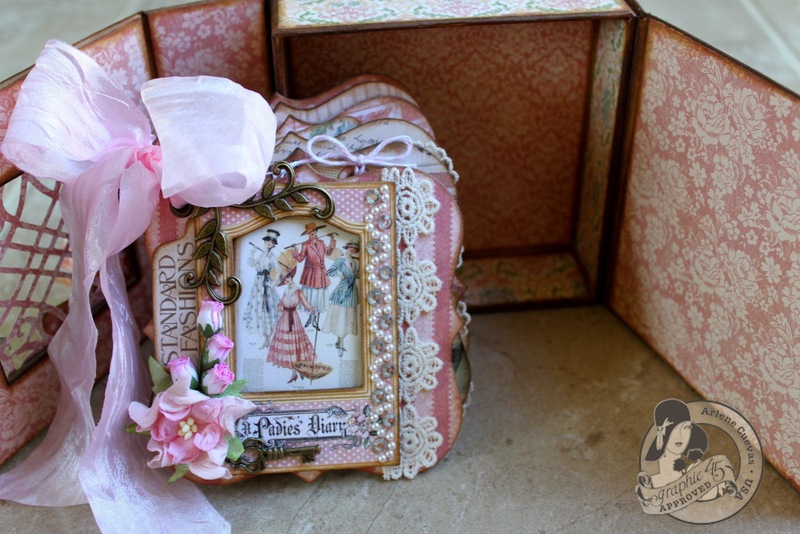 As you may know, October is Breast Cancer Awareness month and over at Craft-e-Corner, the celebration is under way with the "Craft Pink" event! In support of breast cancer awareness, Craft-e-Corner will be donating a portion of all sales proceeds to the National Breast Cancer Foundation. Won't you join us and contribute to this amazing cause? 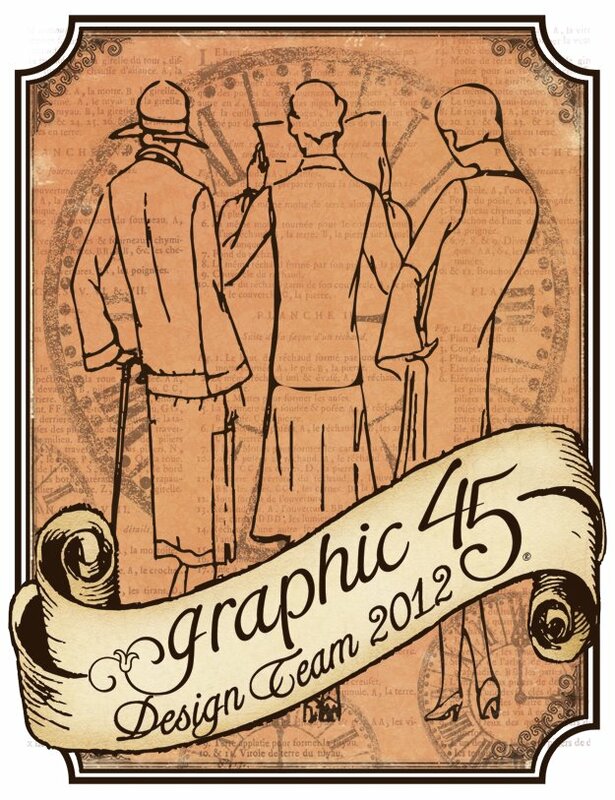 To support this event, members of several design teams, including the Graphic 45 designers, were invited to participate by creating a "pink" project. 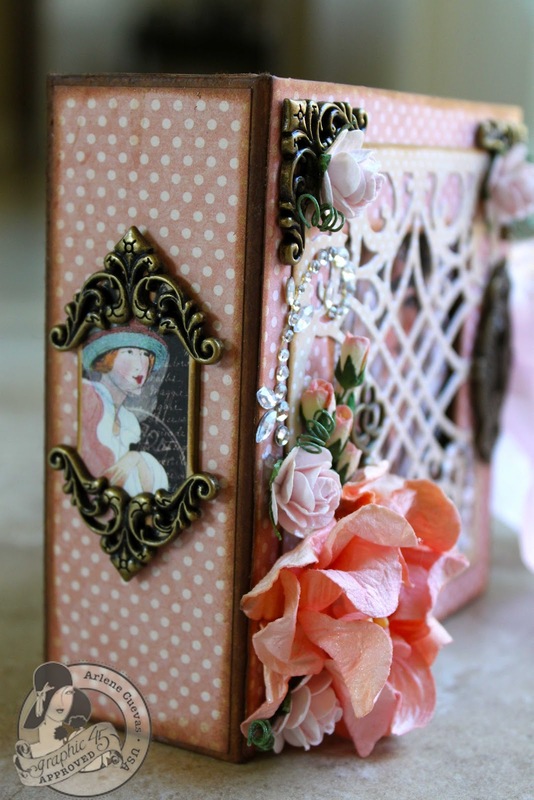 I used Graphic 45's A Ladies' Diary collection and a Kraft Altered Art Box. Details of my project will be featured over at the Craft-e-Corner blog in detail, so be sure to hop on over... we'd LOVE your support! Be sure to stop by the Craft-e-Corner blog for details about the "Craft Pink" event and we hope you follow along for all the inspiring PINK projects that will be featured all month over at Craft-e-corner! This is so amazing. Your work is just beautiful. Everything you make is lovely, I'm so glad I'm subscribed to your videos :) Very inspirational.